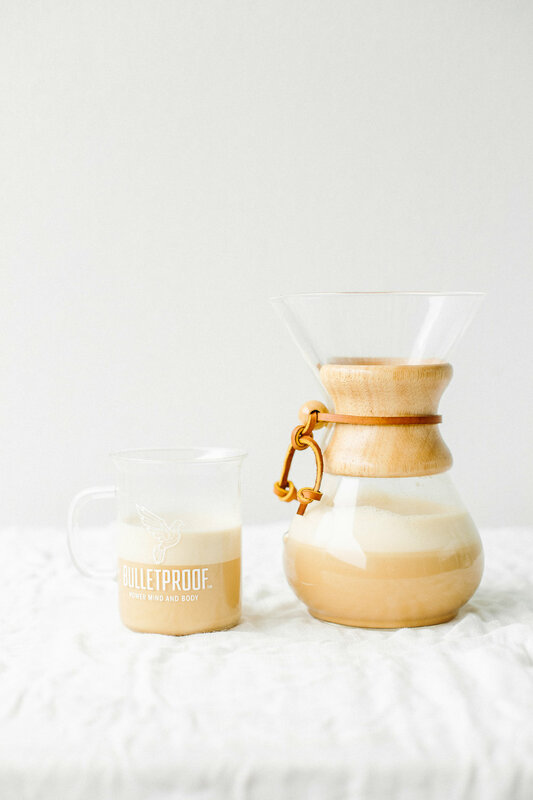 Bulletproof coffee is a health craze sneaking into everyday kitchens and coffee shops around the world. In essence, it’s a combination of black coffee, grass-fed butter, and brain octane oil. I’ll be honest, my first reaction to Bulletproof coffee was *Blerg*, I honestly thought why would you ruin a perfect cup of coffee with all that fat!?!? But after trying it for myself and noticing the difference to my health and energy levels through the day, I was immediately converted. This recipe is the creamiest, most divine way to have your morning cup of Jo that gives you long lasting energy all day long. 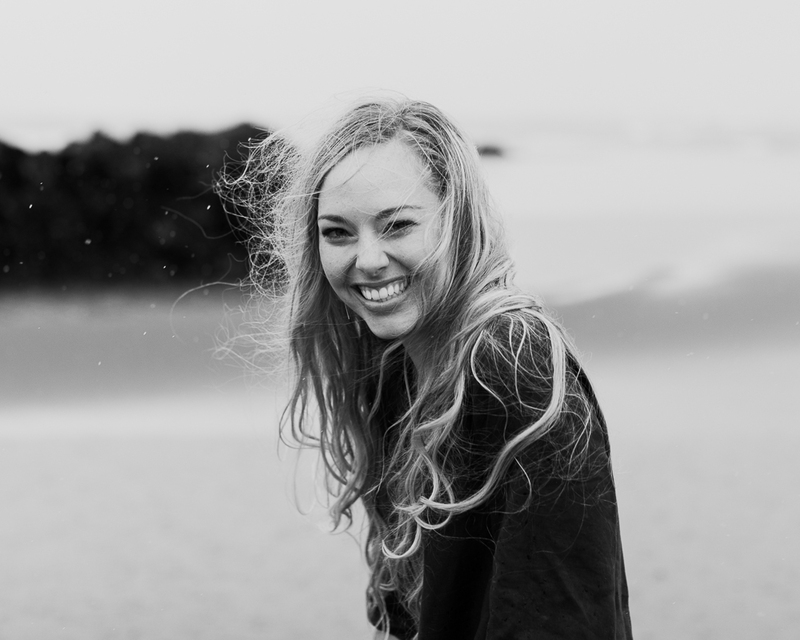 You can read more about the bio-hacking trend - Bulletproof Coffee + the benefits of it here. 1. Mix the gelatin and water together, set aside and allow it to bloom/ thicken. 2. Add all of your ingredients to a small saucepan and place on a low heat. Stir together until the gelatin has completely dissolved. 3. Now pour the mix into a high powered blender and blitz for 30 seconds – 1 minute. 4. Now pour into 2 mugs with your partner, friend or loved one. 1. Add all of your ingredients (except the collagen) into a high powered blender and blitz for 30 seconds – 1 minute. 2. Now add the collagen powder and blend for 10 seconds on low-medium. This ensure the protein in the collagen isn't damaged. 3. Now pour into 2 mugs with your partner, friend or loved one. 1. Mix the gelatin and water together, set aside and allow it to bloom. 2. Add all of your ingredients to the thermomix and bring it up to 70-80C on speed 2. 3. Once it's heated, blitz for 30 seconds – 1 minute. Want to see more coffee recipes? My Adaptogenic Bulletproof Coffee recipe was featured over on the Bulletproof website.